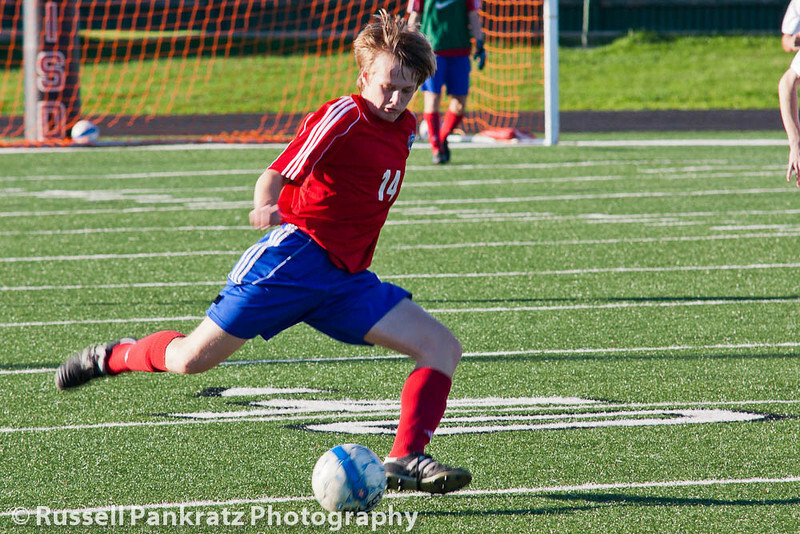 Jake McClendon is featured in full stride on the thumbnail for the JV-A squad's gallery of images from the last game of 2012. Soccer played under sunny conditions allows me to shoot with my 80-800mm zoom lens. That allows me to shoot from behind the end-zone with the sun at my back. The players tend to be facing me directly this way and I can fill the frame with more dynamic action, and do it from the wrong end of the field. Enjoy the results.